Digital Developers Fund has released 6,428,932 DDF tokens in an ICO in August of 2017. Today, you can buy DDF tokens on exchanges like Coss.io, Cryptopia and HitBTC. 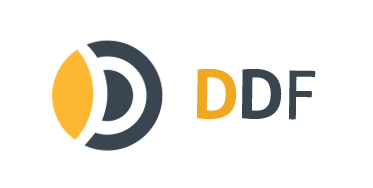 WHERE ARE DDF TOKENS LISTED? DDF tokens are currently listed at Coss.io, Cryptopia and HitBTC. This is a known issue with Etherscan. Because our smart contract uses a custom function to initially transfer the tokens to you, they won’t show up on Etherscan. Subsequent token transfers from one wallet to the other will show up on Etherscan though. HOW MANY TOKENS ARE IN CIRCULATION? WILL NEW ONES BE ISSUED AFTER THE ICO? There are a total of 6,428,932.1269 DDF issued. As verified in the auditor’s report, 3,929,700 tokens were sold in the ICO and 2.5m token were issued for the company fund. As per the Smart Contract, it’s impossible to issue more DDF tokens. HOW MUCH WILL THE NEXT DIVIDEND BE? We can’t comment on estimates of future profits. This depends on the performance of investments and the general markets.